His entrails were, indeed, buried in Chalus. I don’t believe that Richard was buried at Chalus-Chabrol. 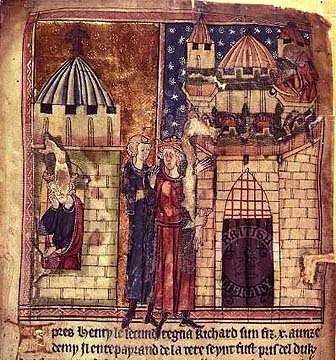 In “Eleanor of Aquitaine,” Alison Weir writes that “the body of Richard I ‘was most honorably buried with royal pomp’ in Fontrevault Abbey at the feet of his father, as he had requested.” She goes on to describe the interment of various body parts in other locations (Rouen and Charroux) , but not at Chalus-Chabrol.